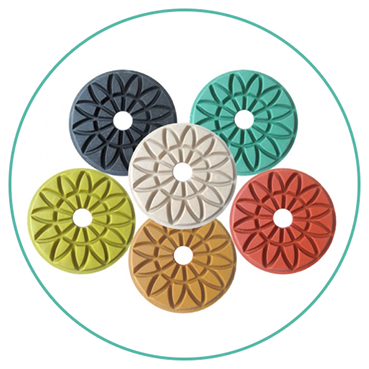 Concrete floor sealing, grinding and polishing in Perth is now made easier with our new range of resin pads. For use in concrete floor preparation prior to concrete floor sealing and stone floor sealing we can get the perfect finish and bring your floor to a beautiful high gloss before we seal your concrete or stone floor. In fact they can be used for floor restoration as well, to remove scratches or dull spots. We also have concrete floor coatings to suit everyone just have a look at our gallery of pictures and call today!